Easter weekend means different things to many people but if you love basketball, there is a lot to be excited about. The March Madness is coming to a climax but in the NBA, things are getting pretty exciting with respect to the race for playoff spots. There were some big Friday night games and there are some equally important games on Saturday and Sunday. The Pacers grabbed a great home win against the Hornets, winning by a score of 93-74 while the Celtics slipped to a loss to the Bucks, losing 101-110 in Milwaukee. The Grizzlies outgunned the Thunder 100-92 in Memphis while the Bulls were too strong for Detroit, winning 88-82 in Chicago. The Kings struggled at home, losing 95-101 to the New Orleans Pelicans. There were no such problems for the Wizards, defeating the Knicks by a score of 101-97. The Nets dealt with the Raptors in Brooklyn, winning by a score of 114-109 while the Timberwolves lost at home to the Magic, defeated by a score of 84-97. The Spurs were in excellent form at home to the Nuggets, winning by 123-93 and the Trail Blazers lit up Los Angeles, winning by a score of 77-107. The Suns did have genuine hopes of reaching the playoffs but their recent form has seriously hampered those ambitions. However, the dream is still alive but it is very much dependent on the team from Phoenix getting their act together quickly and this means overcoming a Jazz team that has been on a good run of forms of late. Five losses in a row has been very hard for the Suns to take but the most recent one, falling to the Warriors in the last second was particularly cruel. Eric Bledsoe had put the Suns ahead with 4.5 seconds left on the clock only for Harrison Barnes to turn it around again just ahead of the buzzer. The Jazz holds a 34-41 record with a 15-22 record away from Utah. They have a 5-5 record across their last 10 games. The Suns hold a 38-38 record which includes a 19-20 record at home. In the Suns last ten games, they have a 4-6 record. With respect to average points scored, the Suns lead 103.6 to 94.8 and for average points against, the Jazz leads by 94.8 to 103.6. Yes, the stats for these teams are quite unique that the average points for and the average points against are coming out at the same number! 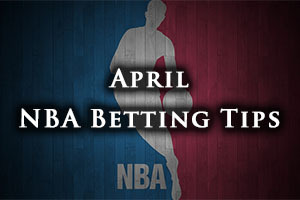 Taking the Suns with a -1.5 handicap, at odds of 1.90 could be the perfect bet for your Saturday NBA action. Bet Now! The Celtics knew that they only had an outside chance of the playoffs but these hopes have taken another blow in losing to Milwaukee on Friday. When you take on board the fact that the Boston team has a rather difficult end to the regular season, it may well be that the Celtics are going to miss out on the playoffs. At one point of the campaign, the Celtics were nowhere near a playoff spot, so they have shown considerable progress and development but they will be feeling disappointed at getting close only to look out of the running at this stage. The Celtics hold a 34-42 record which includes a 15-22 record away from Boston and in their last ten games; the Celtics have a 4-6 record. The Raptors are currently sitting on a 45-31 record for this season and this includes a 26-13 record in Toronto. The Canadian side holds a 6-4 record in their ten most recent games. For average points scored, the Raptors lead 104.3 to 100.9 while for average points against; the Raptors have a close advantage, 101.3 to 101.6. Taking the Celtics with a +3 handicap, at odds of 1.90, should be a decent bet for your Saturday NBA betting activity. Bet Now! The Hornets were another team that believed that they had an excellent chance of making it to the playoffs but they have managed to cause their own downfall in recent times. A loss in Indiana on Friday night, a few days after losing at home to Celtics ensured that the Hornets have lost the chance to keep pushing for the final playoff spot. With losses in two of their last three games against teams they’re battling for one of the Eastern Conference’s final playoff spots, saying the Charlotte Hornets have figuratively shot themselves in the foot might be giving them too much credit. The Charlotte side now find that they have seven games to jump over three teams, which is certainly a difficult task. The 76ers have an 18-58 record so far this campaign, which includes an abysmal 6-32 record on the road. The Philadelphia team also holds a 3-7 record in their last 10 games. The Hornets hold a 32-43 record this campaign, which includes an 18-20 record at home. Like the 76ers, the Hornets hold a 3-7 record in their last ten games, which says a lot about their playoff hopes. For average points scored, the Hornets lead 94.9 to 91.6 and for average points against, the Hornets have an advantage of 97.1 to 100.5. Taking the Charlotte Hornets with a +7.5 handicap, at odds of 1.90, is likely to be worth your time and money this weekend. Bet Now!